Smart Manufacturing refers to the automation of discrete manufacturing processes (differentiated products such as vehicles, furniture and aircraft rather than, say, oil or natural gas) with technologies like robotics, big data and 3D printing. By investing more in Smart Manufacturing, we aim to strengthen the competitive position of the manufacturing industry in West Holland and address rising staff shortages. With Smart Manufacturing, production costs are reduced, product quality and consistency is improved and delivery times are shorter and more predictable. SMITZH, an independent one-stop shop, was established to stimulate the application of Smart Manufacturing in our region and to support companies that want to know more about this field. By bringing together supply and demand in Smart Manufacturing, SMITZH is building a solid innovation infrastructure for West Holland: a region in which manufacturing companies, technology suppliers, field labs, educational institutions, government and other stakeholders are closely collaborating. Manufacturing in West Holland accounts for a large proportion of existing employment opportunities and the industry is playing a vital role in offering solutions for major challenges, both in the short and in the long term, not least in the areas of energy, sustainability and growing healthcare needs. To strengthen the region’s competitive position and prosperity, companies in West Holland will have to invest more in Smart Manufacturing. Those who invest in the relevant technologies will be able to disrupt the market to such an extent that competitors will be swiftly eliminated. To survive, it is therefore not a question of whether firms should invest but how and when. Investing in Smart Manufacturing can also help in tackling the growing labour shortage. By automating more processes and training employees differently, this shortage can be absorbed. SMITZH supports West Holland technology suppliers and manufacturing companies in the application of Smart Manufacturing. We also aim to achieve a better match between supply and demand within the labour market. After all, a strengthened competitive position can only emerge by adapting the entire innovation ecosystem. We aim to become a global hotspot for Smart Manufacturing. A digital innovation hub with international appeal. A one-stop shop where companies can find the technology needed to produce high-quality products competitively, even in small production runs or single units. 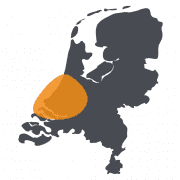 And most of all, SMITZH aims to help make West Holland a region where manufacturers and suppliers set up or expand their business thanks to a strong ecosystem that nurtures knowledge and innovation, balances supply and demand and creates world-class products. As a one-stop shop, we answer your questions and seek to build connections. We also provide workshops, master classes and vouchers for feasibility studies, skills labs and proof-of-concept projects. To encourage companies in our region to use more Smart Manufacturing applications. To create a better match between supply and demand within the region’s labour market. To facilitate the infrastructure for regional cooperation whereby manufacturers, technology suppliers, field labs, educational institutions, government and other stakeholders work together to support Smart Manufacturing. How does SMITZH leverage Smart Manufacturing applications in our region? To operate as a one-stop shop, SMITZH is developing a solid innovation infrastructure of eight Smart Manufacturing field labs that closely collaborate. We appreciate that every company is at a different stage of development and has unique needs. That’s why we offer a range of services: workshops, master classes and vouchers for feasibility studies, proof-of-concept projects and skills labs. People-oriented technology is one of SMITZH’s spearheads. This is the type of technology that makes difficult work easy: for example, assembling a sensor or satellite while wearing virtual reality glasses that project where and which part should be assembled, or using exoskeletons that make heavy work light. People-focused technology helps individuals find work and enables companies to fill vacancies. Is Smart Manufacturing the same as Smart Industry? Smart Manufacturing is often regarded as a synonym for Smart Industry or Industry 4.0. This is not entirely correct, however. Smart Industry and Industry 4.0 have a broader scope, covering not only the production of goods but the entire plant as well as supply chains, logistics, mobility, buildings, services, smart grids, homes and work environments. What is SMITZH’s role in the Smart Industry Programme? SMITZH is responsible for the regional implementation of the national Smart Industry Programme and focuses on Smart Manufacturing in West Holland. How do you define manufacturing industry? Manufacturing industry comprises all companies that mechanically process materials into new products on a large scale. This may involve, for example, machine building and the production of metallic items, vehicles, electronics, plastics and textiles. Sectors within the manufacturing industry include automotive, high-tech, horticulture, healthcare and shipbuilding. Well-known Dutch examples of manufacturing companies are Quooker (hot water taps) in Ridderkerk, De Waal BV (ship controls) in Werkendam and Houdijk Holland (biscuit machines) in Vlaardingen. In 2013, manufacturing in the Netherlands accounted for 10% of economic output and is still flourishing. The Netherlands ranked in Europe’s top three countries in terms of manufacturing production growth in 2015. And in 2016, almost all of the country’s top 100 manufacturing companies managed to close the year in profit. SMITZH focuses specifically on the manufacturing industry in West Holland, which is estimated at 10,000 companies.